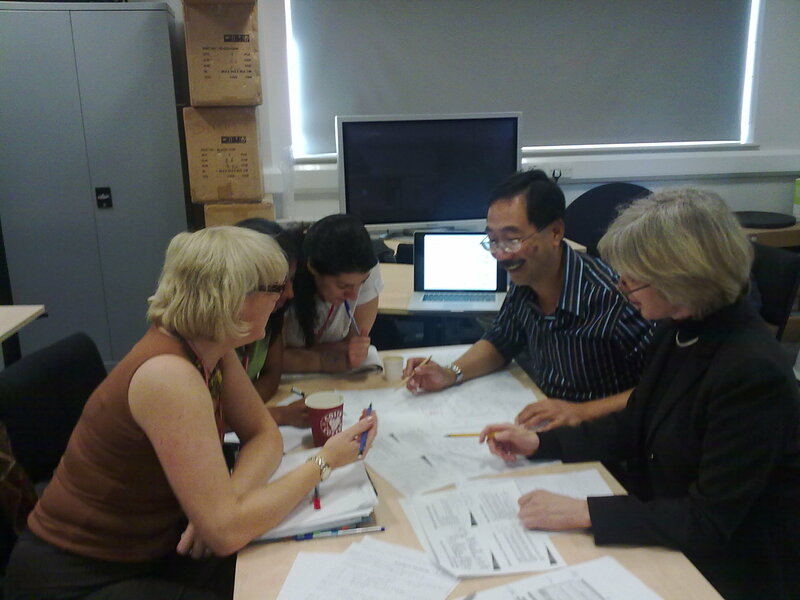 During her visit to Middlesex University as Royal Academy of Engineering Distinguished Visiting Fellow, Professor Sanderson met with UBiRD team to discuss, debate and test out the merits of presenting the qualitative data from the observational study visually using Jens Rasmusson’s cognitive work analysis method for dealing with complex data sets. PhD students Neesha Kodagoda and Artemis Parvizi joined the discussion group. The visual presentation of searches from the qualitative data that emerged showed common patterns of searching techniques used by participants. Professor Sanderson also advised the UBiRD team on how best to visually present the transcriptions of the data. The team were inspired and motivated to look at the data again using the visual approach. The meetings with Professor Sanderson took place on 22nd and 23rd September in the Hollis Room, The Sheppard Library. Professor Sanderson leads the Cognitive Engineering Research Group at The University of Queensland. She is a Fellow of the Academy of the Social Sciences in Australia and in 2004 was awarded HFES’s Distinguished International Colleague Award. She has twice been awarded HFES’s Jeromy Ely Award for the Best Paper inHuman Factors, in 1990 and 2005. Her specific focus is developing theories and methods that deliver better support for people’s cognitive work in complex dynamic work domains, such as healthcare, air traffic control, process control, and power systems. Sanderson received her BA(Hons I) from University of Western Australia in 1979, and her PhD from University of Toronto in 1985. While at University of Illinois at Urbana-Champaign from 1985 to 1996, Sanderson held grants from NSF, NASA, US Air Force Research Laboratory, and the US Department of Energy. In Australia since 1997, she has held ARC and NHMRC funding and has attracted wide industry support. In 2009 Sanderson is spending a month in the UK on a Royal Academy of Engineering Distinguished Visiting Fellowship at Middlesex.